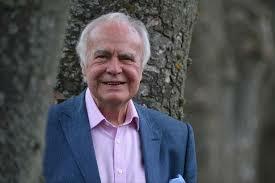 No member of Fobs will have missed the sad death of Hugh McIlvanney: very few journalists’ deaths – as did Hugh’s – make the main news outlets. Hugh had been increasingly ill for some time, and it was a tribute to his perseverance and fortitude that he kept writing until nearly three years ago. Those of us who were on The Observer when he was at the height of his powers will recall his larger-than-life personality and his entertaining company. Hugh’s presence on the staff was one of the (many) attractions of working on The Observer in what many regarded as its heyday. He could, as the obits pointed out, be combative, but his volcanic streak was more than compensated for by his sports reporting and his compelling presence in such watering holes as Connie’s bar at the Mermaid Theatre. Those were great days for paper, central to which were the sports pages (under the shrewd and benign leadership of Cliff Makins). Hugh, despite ‘defecting’ to the Sunday Times, remained at heart an Observer man, and, had his fast-declining health allowed, would have attended last December’s Fobs drinks at the St Bride’s Tavern. We will post news when we get it of Hugh’s funeral and (one hopes) the memorial event. It is bound to be a memorable Observer occasion. Hugh McIlvanney’s life as a sports journalist resembled one of his perfectly crafted sentences: long, lyrical and rich with surprises. He was a scrupulous and perceptive witness to what he regarded with reverence as the “magnificent triviality” of sport, and his death, at the age of 84, will be the more keenly felt in a climate of concern about the dwindling integrity of the printed word. He leaves behind a fading image of an era that was more forgiving of boisterous behaviour than the one from which he retired in 2016 after nearly 60 years of excellence. There might be dissenting, scattered voices, but the consensus among his peers was that McIlvanney was the best sportswriter of his era. It is hard to find argument with that conclusion. His friend and rival, Ian Wooldridge, pushed him close – and was probably more willing to cede first place to him than McIlvanney was the other way around – while near contemporaries such as Dudley Doust and James Lawton kept him honest. Now they are all gone, Lawton only last September. During 30 years at the Observer and a concluding stint of 23 years at the Sunday Times, McIlvanney accumulated a swag of accolades at home and abroad: journalist of the year on a brief sabbatical from sport, when he returned to hard news for the Daily Express at the height of the Troubles in Northern Ireland; sports journalist of the year seven times; made OBE in 1996; a lifetime achievement award at the Scottish Press Awards in 2004; and induction into the International Boxing Hall of Fame in 2009. Sport and journalism in the UK could not have asked for a better champion than the man who insisted he was a reporter rather than a “writer”, a title he felt conveyed too much grandiloquence in the circles in which he moved easily, from ringside to the track and, when the mood took him, the bar. His searing intelligence and an old-fashioned regard for accuracy, embroidered by a gift for verbal musicality, lifted his work to sometimes operatic heights. Others might have been more concise; none was more precise. He cared with monk-like zeal about the layered subtext of his narrative, as well as hitting the right tone and rhythm in his prose, and packaged it all as Beethoven might put together a symphony. If his work was too labyrinthine for some tastes, perhaps the fault lay with the listener rather than the composer. Always at the forefront of his thinking was accuracy, and he would not compromise the truth for a soft landing with celebrity athletes. He once wrote of an underwhelming performance by the British heavyweight Frank Bruno: “[He] was no more competitive than a sheep in an abattoir.” Cruel, certainly – but, in context, on the money. Honesty was his shotgun, and he fired it without fear or favour. “How many caps have you got?” the venerated England manager Sir Alf Ramsey asked him after he had criticised the team’s performance. “None,” McIlvanney replied, adding, “but if I send a turnip around the world, it doesn’t return an expert on geography.” The boxing promoter Harry Levene once demanded to know why McIlvanney was “flogging a dead horse” by complaining about the quality of a useless Canadian heavyweight imported to stand politely in front of local hero Billy Walker. “Why put a dead horse under starter’s orders?” came the counterpunch. McIlvanney brought a breath-taking level of comprehension and expertise to his work without the benefit – or encumbrance, he might say – of a university education. He did not need paper to lend weight to his words. He was his own toughest examiner. It became obvious watching him at close quarters that the perfection he admired in others who strove for it, from Gabriel García Márquez to Muhammad Ali, was buried in his own soul from a young age. He was born in the Ayrshire town of Kilmarnock to William, a miner, and his wife, Helen (nee Montgomery), parents who gave him and his three brothers, one of whom was the future crime writer William McIlvanney, a priceless grounding in the arts of expression. Hugh began on his hometown paper, the Kilmarnock Standard, after impressing during a debate at his school, the Kilmarnock academy, and moved briefly to the Scottish office of the Daily Express before joining the Scotsman. That newspaper’s outstanding editor, Alastair Dunnett, introduced him to the collected essays of AJ Liebling, perhaps the pivotal intervention in his long career. McIlvanney had not even considered becoming a sportswriter, but that moment fixed the path of his calling. To his surprise McIlvanney loved Liebling’s defining book on boxing, The Sweet Science. Like the New Yorker with the Sorbonne education, he was originally an accidental tourist in the under-lit suburb of sport. “I was a bit reluctant at the start,” he admitted. He was petrified of ending up “a fitba writer” obsessing about Celtic and Rangers. Self-doubt did not often haunt him thereafter. While his heart never left Scotland, the core of McIlvanney’s working life was played out on the pages of the Observer, where he began work in 1962 as deputy sports editor. In surroundings that were unremittingly Dickensian, peopled by literary mavericks to whom he would quickly cleave, McIlvanney impressed. But he knew that his editing and subediting work was no more than an entree to a more fulfilling line as a writer. He had a piece in the paper within a fortnight and there was no doubt he had found his metier. Allied to his great style was McIlvanney’s huge admiration for the characters of sport, and he never lost faith in his heroes, however flawed. Nobody gave George Best more rope. And Ali stood tallest for him, even when palsied after a boxing career that lingered too long. There was no doubt in McIlvanney’s mind that Muhammad (as he insisted on calling him) was The Greatest, as a human being and an athlete. It was the perfect metaphor for McIlvanney’s career: the raw yet refined genius from the north who invariably finished in front, sometimes despite himself. His writing – his reporting, as he would have it – was a triumph of the imagination. He is survived by his third wife, Caroline (nee North), whom he married in 2014, and by two children, Conn and Elizabeth, from his first marriage, to Sarah Kenmuir. It ended in divorce, as did his second marriage, to Sophie.